What Talla 2XLC doesn’t know about delivering Everest-scale floor elevation frankly isn’t worth the knowing! Throughout a career - now spanning two decades and singles counted in the hundreds, he’s refined his studio technique down to a fine art. And yet somehow a VANDIT release pin has never come to pass… In both title and happening though… ‘The Time Is Now’. The German producer has summoned all those honed skills and brought them to bear on VANDIT’s opening release of 2018. In the pursuit of uplift, ‘Time’s assembly doesn’t miss a production beat or trick. Frontend, Talla primes it with tenaciously paced drumatics, crowd-rousing pitch bends and every-bit-as potent fader flips. Supplying further ascension at key strategic points throughout, elegant key changes, elaborately spun melodies & chord progressions galvanize it further. Through flair and snare he pulls off a spirit-filled drop that’ll charge January’s floors up the right way! 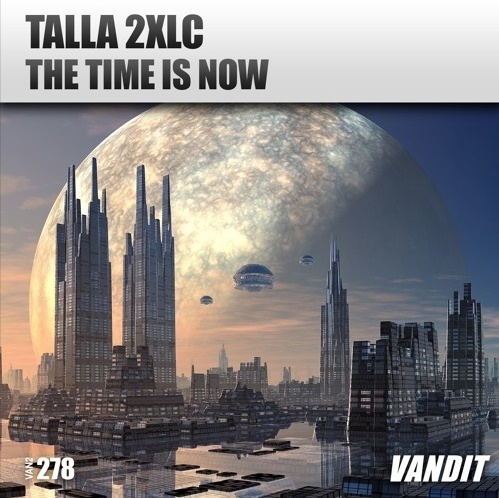 The time is now for ‘The Time Is Now’ – Pick it up via Beatport here.